Image: Unseasonably warm air drifting over central WA on Thursday. The weather station at Kalgoorlie-Boulder Airport hit 40.1 degrees shortly before 2pm on Thursday. This was Kalgoorlie's highest April temperature in records dating back to 1907. The previous record was 39.2 degrees, measured at the now-closed Post Office weather station back in 1938. Today's record heat follows a similarly out-of-season warm night in Kalgoorlie. Their minimum temperature of 24.0 degrees made it their warmest April night in 30 years. 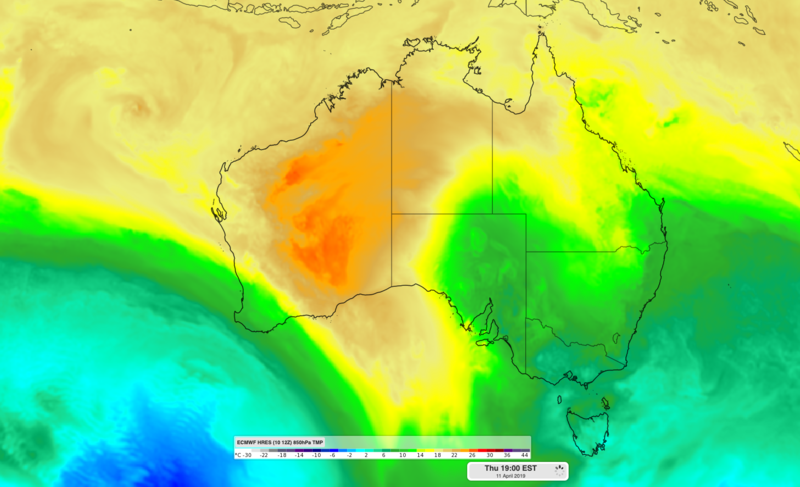 Western Australia also registered its warmest March on record for the state as a whole.